McHugh continues typing out the letters of the alphabet using the digital braille display. She has some trouble getting into the rhythm of it, but it’s not because of a lack of familiarity with the device — it’s a lack of practice. Megan McHugh is deafblind but she doesn’t normally use the braille display. When she’s away from her trusty Windows PC at home, McHugh can usually be found typing away on a regular QWERTY Bluetooth keyboard made by Logitech. Her instruments of choice? An iPad Mini and an iPhone 6S Plus. Megan McHugh was born with a rare genetic condition, called Usher Syndrome, that affects both her hearing and vision. Usher Syndrome itself is a combination of both hearing loss and retinitis pigmentosa (RP), which causes night-blindness as well as a loss of peripheral vision. People with Usher Type 1 are born profoundly deaf, and their vision begins to deteriorate around the age of 10. People with Usher Type 2 are born hard-of-hearing, and their vision begins to deteriorate around their late teens and early 20s. Usher Syndrome is already an incredibly rare condition, and those born with Type 1 or Type 2 account for the majority of individuals diagnosed with the condition. Even rarer still are those born with Usher Syndrome Type 3. Individuals with Type 3 are born with relatively normal hearing that slowly deteriorates, as well as vision problems that often arise in their teens. McHugh was born with Usher Type 2. Her vision began to deteriorate in her late teens and early 20s. Today, her vision is akin to looking through a pinhole — she can see most objects, but everything in the object’s periphery appears far too blurry to identify. As a result of her specific variation of Usher Syndrome, she’s able to utilize a cochlear implant to improve her hearing. As a person who is deafblind but who still retains some vision and some hearing, McHugh has few options when it comes to her technology of choice. However, increasing numbers of device manufacturers and software developers are beginning to think about how users who aren’t sighted or hearing can interact with their products. Ultimately, McHugh says she prefers using iOS devices. Not because she’s an Apple fanatic — her Windows PC at home certainly betrays her lack of allegiance to any one particular operating system over another — but because she finds iOS to be the more accessible operating system. “Some people love Android, but I do find from the point of view of a low-vision, deafblind person — I just happen to find iPhones and iPads are easier to use,” says McHugh. There’s also the fact that iOS is currently inherently more accessible than Android — at least, when it comes to being able to use an iOS device right out of the box. “You don’t have to download third-party apps, but I know Android, they have been improving a lot,” says McHugh. 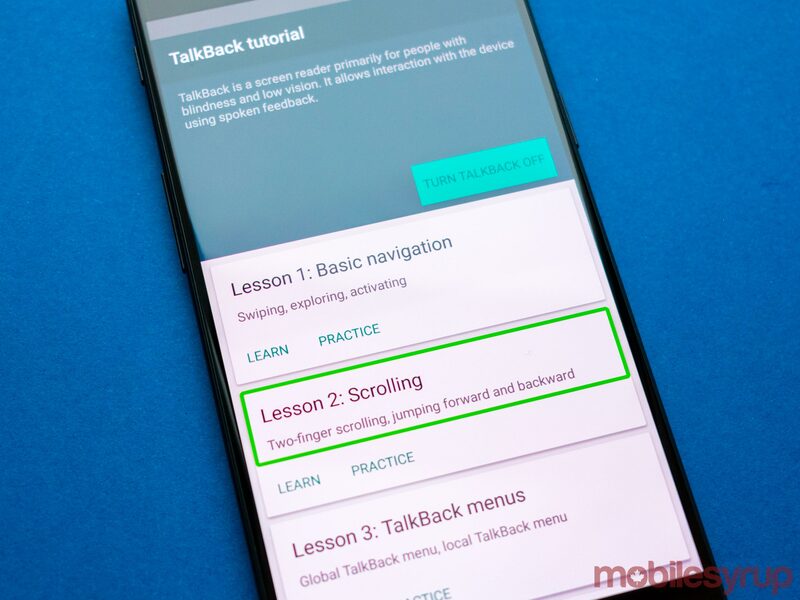 Android, for example, now ships with Google TalkBack; screen-reading software that works similarly to iOS’s VoiceOver. “If you’re hard-of-hearing or deafblind [and] you use Voice Over, it might work if you have it set to be louder,” says McHugh. Interestingly enough, McHugh says that she’s also drawn to pre-iPhone X iDevices because of a simple, increasingly maligned feature: The home button. “I’ve actually played a little bit with Androids and…I just found that it’s hard to see [the home button], so it’s hard to actually touch it in the right spot,” says McHugh. 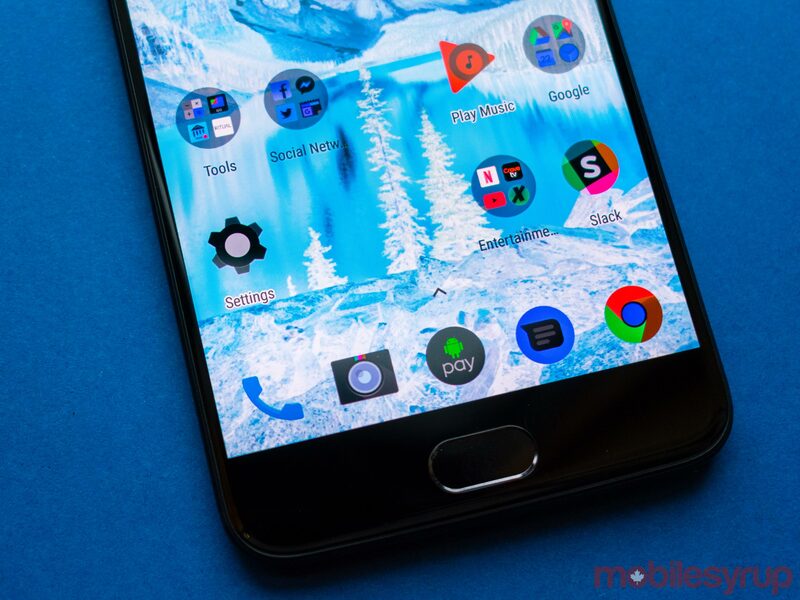 The Android operating system famously eschewed a physical button in favour of a software home button with Android 3.0 Honeycomb — which was intended to be a purely tablet-based operating system. With Android 4.0 Ice Cream Sandwich, however, stock Android formally eliminated a physical home button altogether. 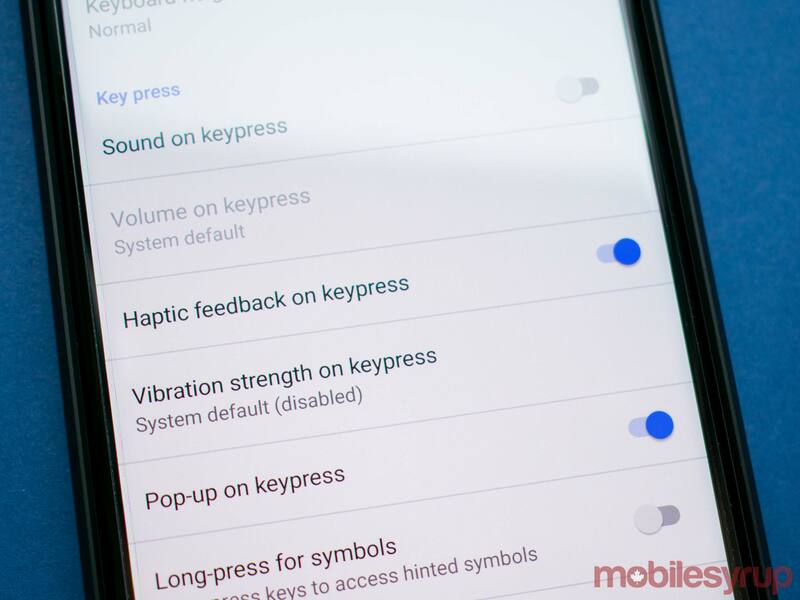 Android device manufacturers continue to design smartphones and tablets with a physical home button, but those offerings are quickly becoming fewer and farther in-between. 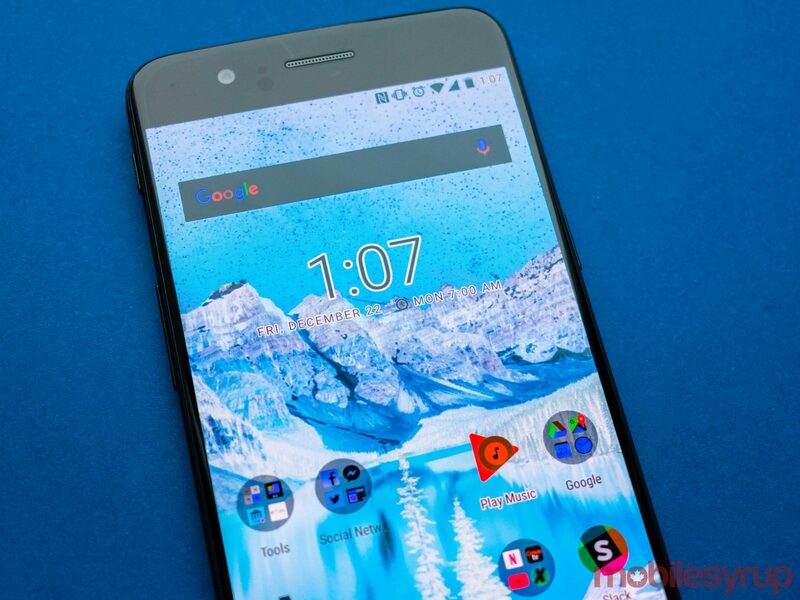 With key exceptions — like the OnePlus 5 — almost every single premium-tier flagship Android device launched in 2017 failed to feature a physical home button. As of the iPhone X, it seems like Apple’s flagship future is going to follow suit. McHugh does clarify that a lack of physical home button isn’t the reason she tends to avoid Android devices. “I just found the iPhone overall easier to use,” says McHugh. Not only that, but when it does come time for McHugh to rely on third-party offerings, the iOS app ecosystem provides a wider breadth of offerings when compared to Android. “There’s a lot more third-party apps that are made to be accessible, so that’s a big deal too, because there are a lot more apps that are specifically made to accommodate disabilities,” says McHugh. How do you solve a problem like software updates? If Megan McHugh seems especially knowledgeable about the differences between mobile operating systems, it’s because she is. That’s because McHugh is the president of the Canadian National Society for the Deafblind. 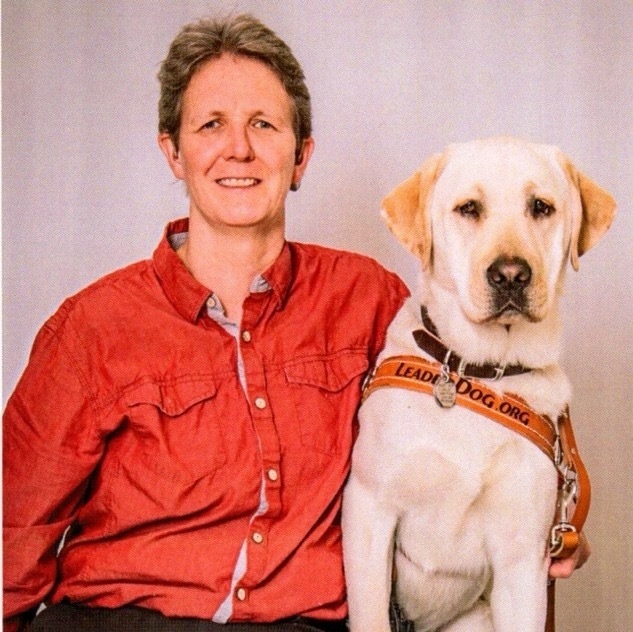 When she’s not advocating for better accessibility and increased awareness, McHugh can be found at the Canadian Helen Keller Centre (CHKC) in Toronto, where she’s an assistive technology expert. Her role at the CHKC means that McHugh maintains a working encyclopedic knowledge of the different technology used by individuals who are blind or low vision and deaf or hard-of-hearing. When I erroneously ask her if she activates haptic feedback on her iOS keyboard, she corrects me by saying that the iOS keyboard doesn’t have haptic feedback like the default Google keyboard. She also adds that I should fact-check her — she hasn’t installed iOS 11 yet because she’s waiting for a full list of bugs. It’s not that she doesn’t want to install Apple’s latest update to iOS — she’s simply heard that some users have reported problems. For instance, McHugh says that some users have suggested that there’s a bug in iOS 11’s VoiceOver. 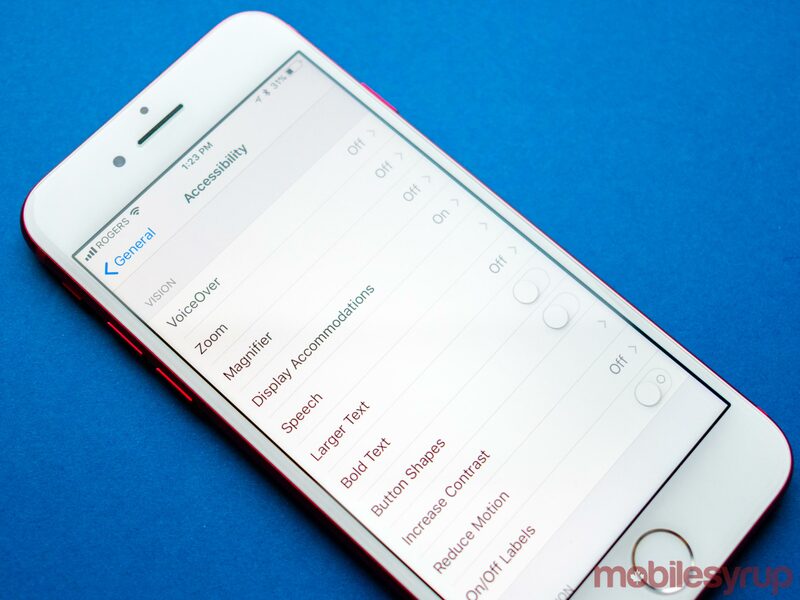 Bugs and software quirks are also why McHugh tends to stay away from the iOS software keyboard as much as possible. She matter-of-factly states that it’s also because she’s a slow typer. If she needs to get some especially important work done, McHugh waits to use her computer at home, or she’ll use her trusty, tactile Logitech keyboard. 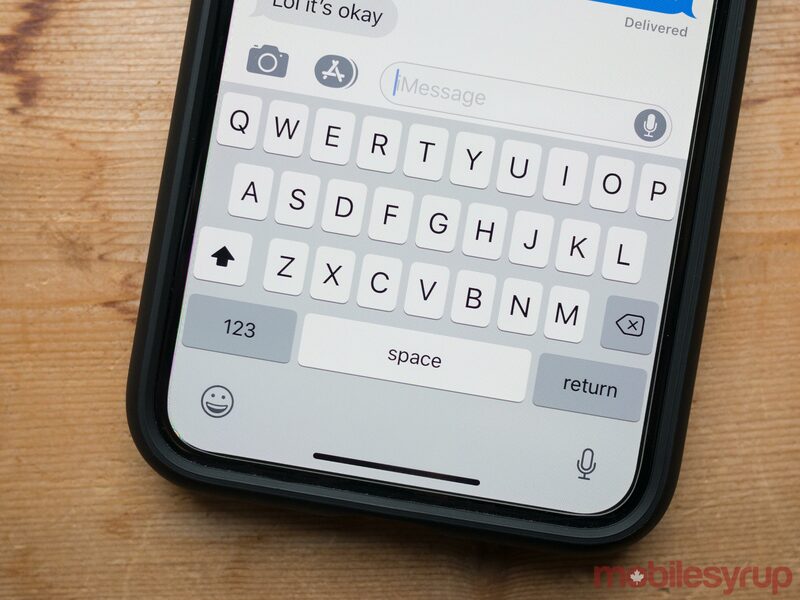 It can be paired to up to three devices at once, meaning she can quickly switch between typing on her iPhone to typing on her iPad to typing on her computer. That being said, Bluetooth can be notoriously difficult to set up — an issue that’s compounded if you’re blind, low vision, deaf or hard-of-hearing. McHugh says that most people who are deafblind often end up relying on others to pair their devices for them. 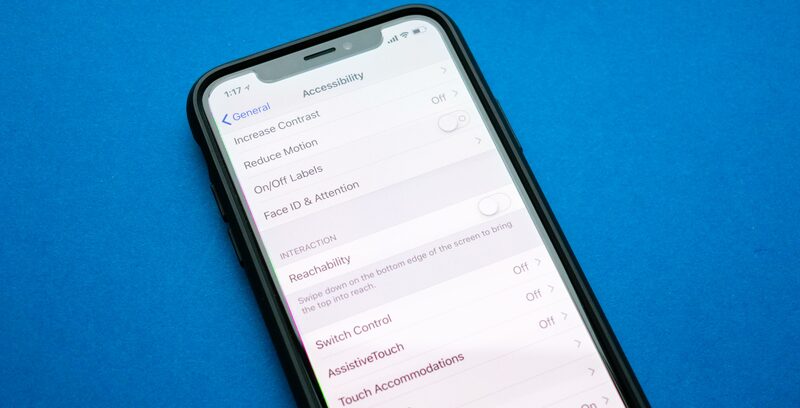 If a braille display disconnects from a person’s iPhone for whatever reason, or if users simply need to pair the devices together again, then they’ll need to rely on someone else to pair the devices for them. “It has to be set up by someone who can see to do it or someone who is not deafblind, because the deafblind person needs the braille in order to access the screen, because they can’t hear the screen reader to go through the steps of pairing it,” explains McHugh. It’s a Catch-22. You only need the braille display if you can’t see and hear, and if you can’t see and you can’t hear, then you most likely need a braille display. “That can potentially be a challenge for some people,” says McHugh. Of course, the issue often isn’t just a matter of having access to access modern smartphone technology. Instead, the barrier for entry is often as simple as not being able to afford a smartphone plan in the first place. After all, Canadian smartphone plans are some of the most expensive in the world, and that cost increases for individuals who are low-vision, blind, deaf or hard-of-hearing. 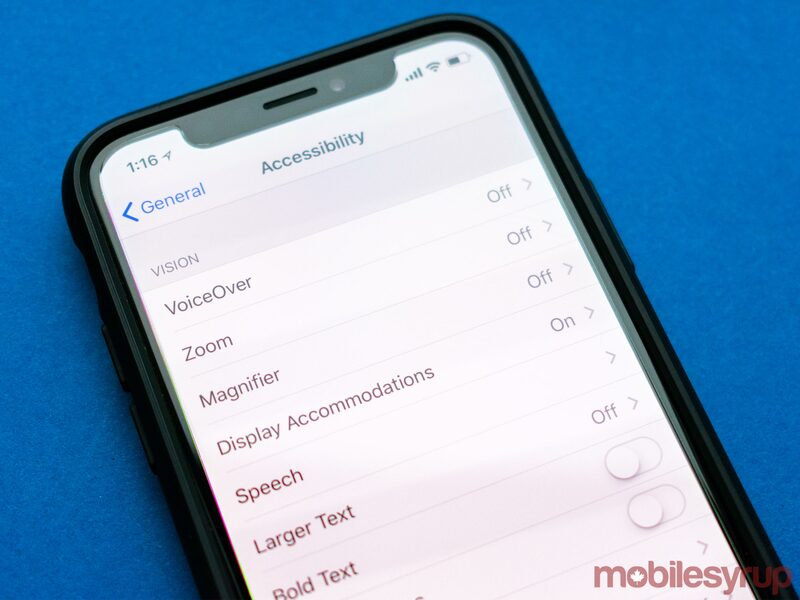 However, as members of the Deaf Wireless Canada Consultative Committee (DWCC) point out, subsidized plan costs are only one step towards making smartphones truly accessible for all Canadians. It’s a phrase that’s recently generated a lot of stigma, but a potential solution to the DWCC’s concerns is zero-rating. The reasoning is that individuals who are deaf or hard-of-hearing most likely don’t need voice services bundled into their plan. Instead, what they do need is access to larger LTE data buckets for services like video calling and audio wayfinding. After all, if you can see who you’re talking to, you can speak to them in sign language. Likewise, as Shane Laurnitus — the lead for accessible technology at the Canadian National Institute for the Blind (CNIB) — points out, individuals who are blind or low-vision require data plans so they can utilize the voice services that many sighted individuals take for granted. BlindSquare, for example, is an accessible GPS app designed to be used by individuals who are low-vision, blind, hard-of-hearing or deaf. The app itself costs $54.99 CAD and is only available for iOS devices. However, data-intensive services like BlindSquare consume quite a bit of mobile data, meaning that individuals with these specific accessibility needs are often limited. Zero-rated services, therefore, would allow individuals with these accessibility needs to pay a fixed rate for very specific apps, without needing to worry about consuming mobile data. Anderson also acknowledged the stigma associated with the term. She argued that zero-rating should be denied to carriers looking to bundle entertainment services together into packages that resemble cable subscriptions. However, the DWCC is currently in consultation with Canada’s telecom watchdog to try to determine if there might be some way to compromise on Canada’s zero-rating laws. Granted, the DWCC doesn’t solely advocate for zero-rated services. Quite the contrary, the organization is also a staunch supporter of unlimited data buckets, believing that such an option would be especially beneficial to individuals who rely on data-intensive apps for communication. However, none of Canada’s carriers offer unlimited data plans. Even carriers that claim to offer unlimited plans include provisions explaining that services will be throttled after subscribers consume a predetermined amount of data.“I’m not trying to compare in terms of America versus Canada, but in America, they do have data plans that honour deaf and hard of hearing individuals,” said Beatty. Beatty referenced $55 USD plans that offer unlimited data specifically for individuals who are deaf or hard-of-hearing. For their part, Canada’s carriers have taken some steps to attempt to make wireless services more accessible. 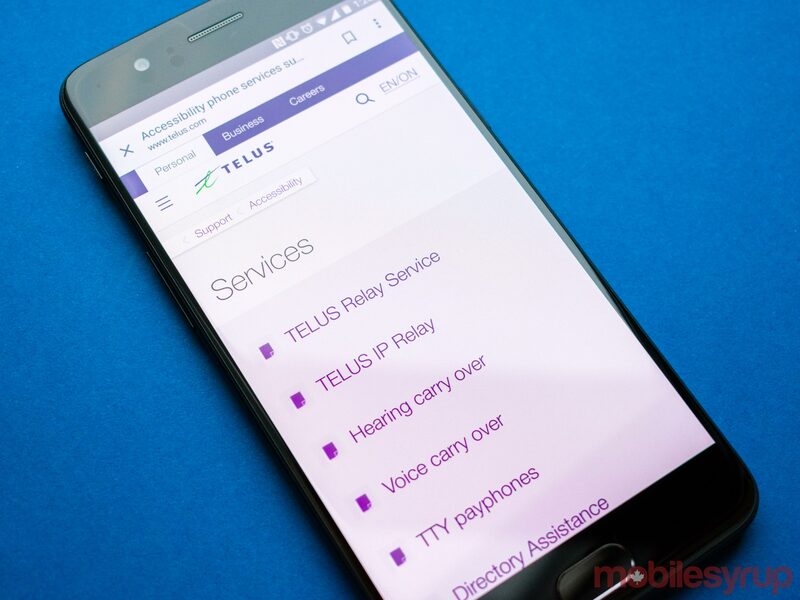 National carriers Telus and Bell both offer rate discounts for individuals with specific accessibility needs. MobileSyrup also reached out to Rogers, but the carrier did not respond to our request for an interview (as of December 28th, 2017, this article has been updated to reflect Rogers’ response, which can be found at the bottom of this story). At Telus, individuals who are deaf, deafblind or hard-of-hearing can receive a $20 discount on their rate plans. The carrier also makes its client care line accessible through a teletypewriter and a video relay services. 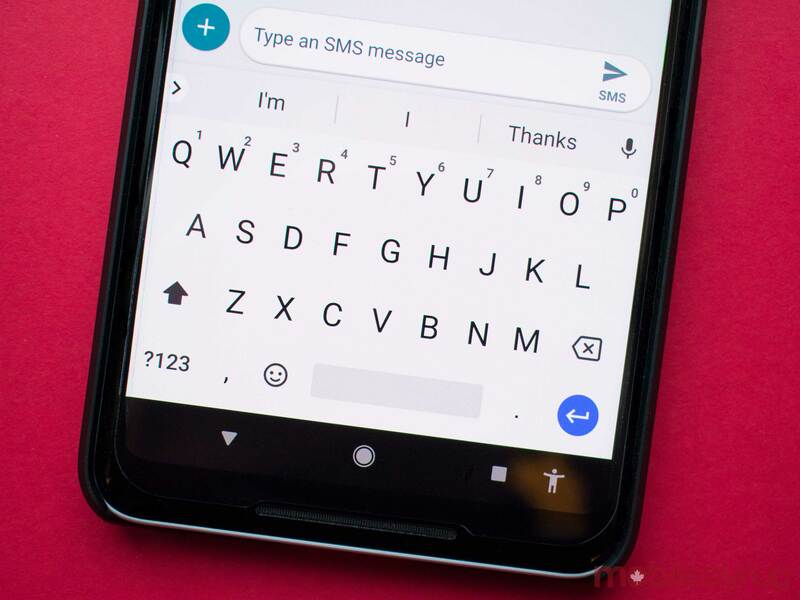 “Telus has a range of wireless devices that support a connection to a cellular-compatible [teletypewriter] through an audio jack connection that will connect to a mobile phone,” said a Telus spokesperson, in an email to MobileSyrup. 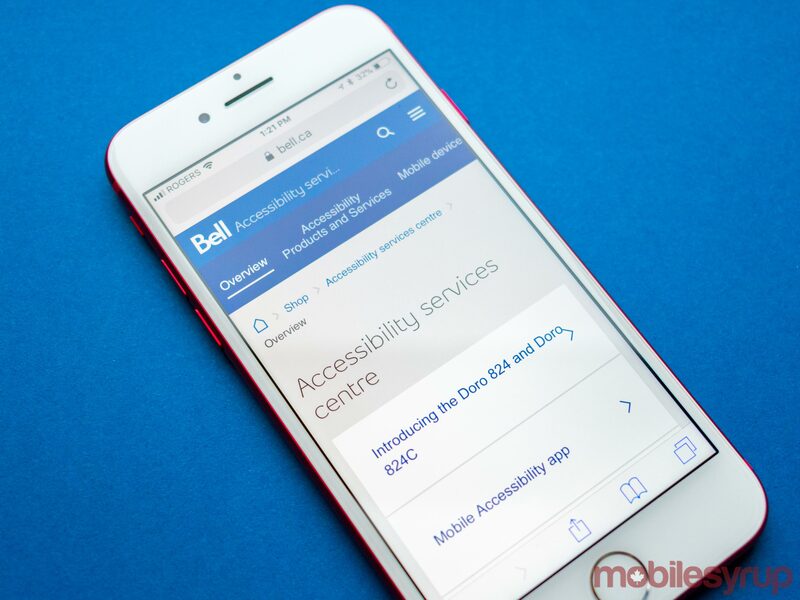 In comparison, Bell, not only has an entire call centre based in Ottawa dedicated to serving customers with accessibility needs, the carrier also offers discounts on rate plans while offering two Android devices that specifically cater to individuals who are low-vision. Bell also offers two additional gigabytes of data to any who self-identifies and provides evidence that they are individuals with accessibility needs. 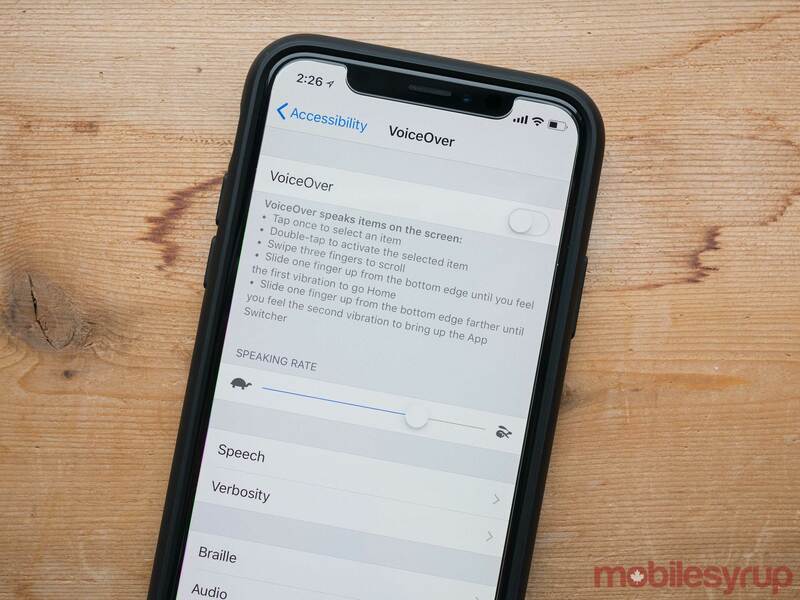 “It makes up for the fact, lets the example of someone who is speech impaired, they won’t be able to use a voice service, we provide this 2GB add-on as a substitute,” said Michael Widner, director of product management at Bell Mobility, in a phone interview with MobileSyrup. “It is an additional amount of data for customers who need to use video-calling and GPS wayfinding — things like that.” Additionally, Bell offers its customers a screen reader app that works with Android devices. “We call it the mobile accessibility app,” said Widner. Bell customers can download the app from the Google Play Store, and the carrier subsidizes the cost so that Android users can download the app for free. Nonetheless, McHugh explains that Canada’s wireless accessibility offerings still lag behind other developed countries — in spite of everything, she still pays about $85 CAD each month for her plan. “I changed my plan recently, and I ended up getting it for $15 less,” says McHugh. As the rain starts to clear up, Megan McHugh checks on her guide dog, Kajun. Kajun slowly looks up at his owner, and McHugh begins telling me that Kajun is her most recent service animal. She’d grown close with her previous guide dog, and in the years they’d spent together, he’d learned how to lead her to all of their favourite parks and pathways. I think about asking her if she uses something like Google Maps now, but I don’t. McHugh tells me about her ice hockey team, the Toronto Ice Owls. She then uses her iPhone to show me a video of her downhill skiing. It shows McHugh, in a yellow jacket with a blue stripe, being guided by a person skiing behind her. “I use a radio system that the guide speaks into to give me direction, like ‘Turn right’ or’ Left’ or ‘Slow down’ or ‘Stop,'” says McHugh. It’s ignorant of me to think, but I’m caught off-guard by the utter normalcy of the scene — the simplicity of a person showing another person a video of them skiing. It’s almost straight out of an iPhone commercial. Still, it’s a remarkable demonstration of the sheer connectivity of smartphones. After all, isn’t the whole point of mobile technology to bring us closer together? 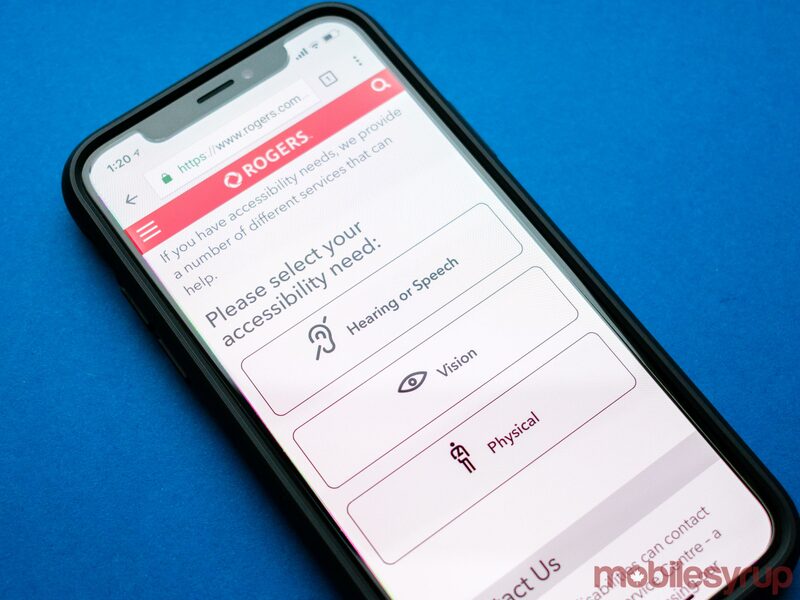 Update 28/12/2017: Rogers has responded and provided a list of services they offer individuals with accessibility needs. The national carrier offers message relay services, teletypewriter services, and also operates the Rogers Accessibility Service Centre (RASC). The RASC can be contacted by phone or by live chat, and allows customers to address their accessibility needs.